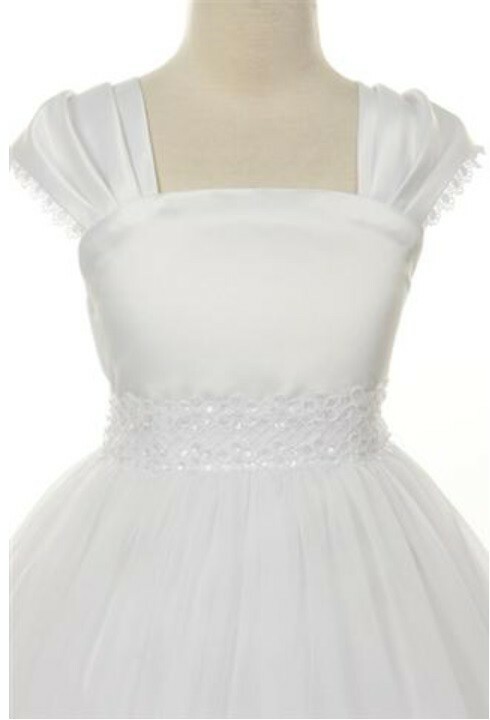 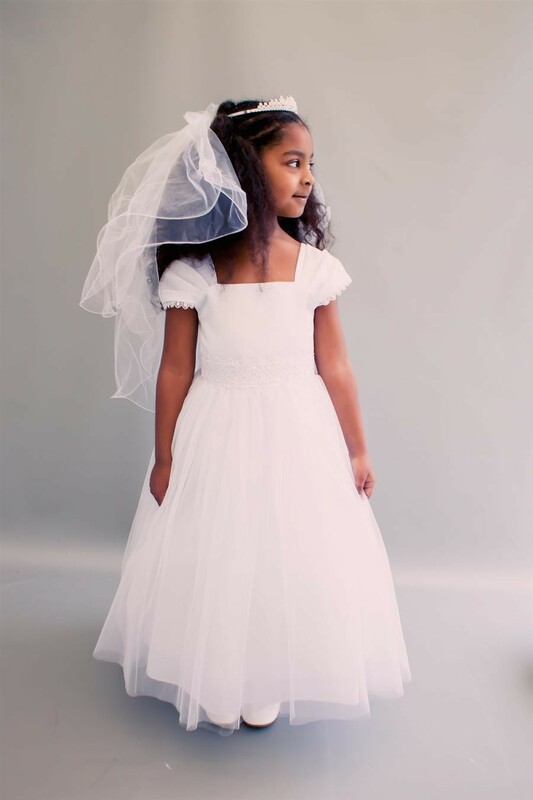 The Grace Dress is an elegant dress that is perfect for a wedding, first holy communion and any other special occasion. 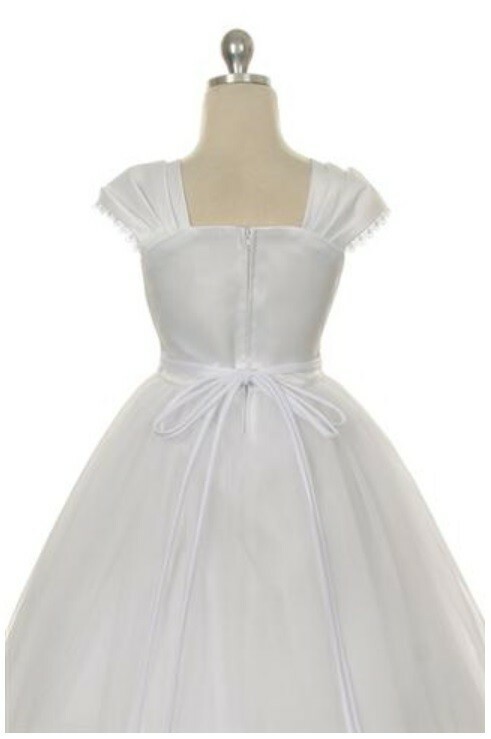 Satin bodice with mesh overlay skirt with lace and bead work trim on the waist. 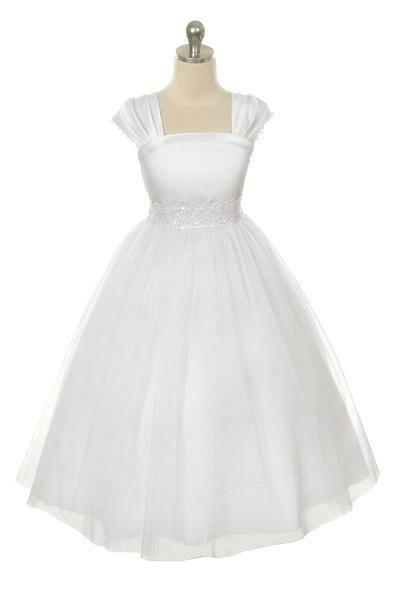 Perfect for Holy Communion and weddings. 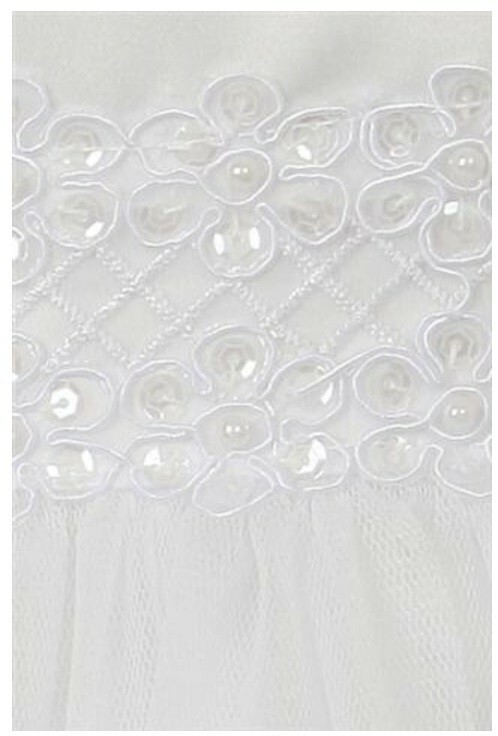 The capped sleeves have a lovely lace trim detail on the outer edge.